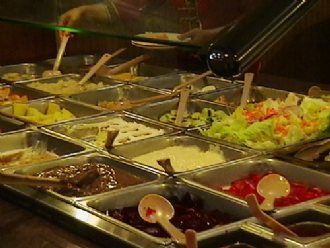 You can choose from 200+ dishes for buffet, or make your own Hibachi Bar by adding soup, noodles, or stirred fried rice. We serve fresh sushi, pork chop, pepper steak, coconut chicken, orange chicken, sesame chicken, egg foo young, BBQ chicken skewer, and all kinds of seafood (including frog leg, fried shrimp, and salmon). On weekends we serve fresh steak (cooked to order). Senior citizens over 65 and persons in active service can have 10% off their bills. 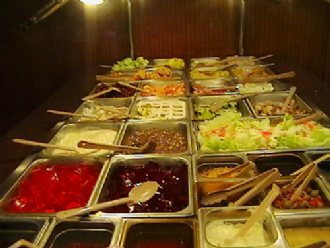 Each Saturday night a child (under 9) accompanied by an adult can have a free buffet. We also have party rooms of which each accommodates 70 to 100 persons. Dinner: w. Pork Fried Rice and Egg Roll. with Rice and Egg Roll. Call Now We Have Party Room can Reserved,We Also Have Great Deels on Cater Party Over 10 Person.1 Person Free.